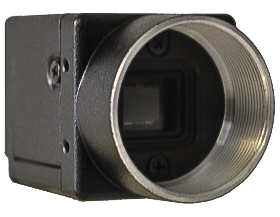 With interlaced CCDs – particularly monochrome, seemingly becoming less and less available as each month goes by, RMA Electronics, Inc. currently still has units available (while supplies last) of Sentech STC-MB42E – which is a 1/2″ monochrome CCD camera, EIA format with analog output. We seem to receive inquiries every week from customers who are looking for obsolete models such as Sony XC-ST50, Sony XC-ES50, Hitachi KP-M2AN, and Hitachi KP-M20N. These cameras were all 1/2″ monochrome CCD cameras, EIA format with analog output. The Sentech STC-MB42E would be a suitable substitute for any of these models. Similar to the XC-ES50 and KP-M20N which have the smaller form factor, the Sentech STC-MB-42E also uses a single Hirose 12-pin connector for both 12 VDC power in and analog video out. In other words, there is not a separate BNC connector for the video output. 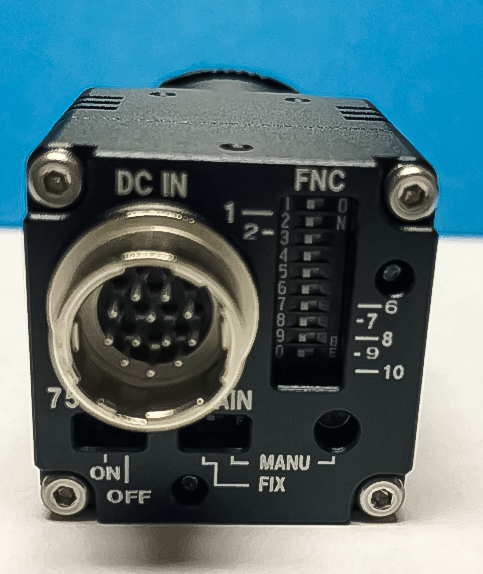 The solution we offer to this is a special power supply assembly which also separates out a separate BNC connector for the video – allowing to still go to your monitor or frame grabber in the same way as you would if the camera had a dedicated BNC connector. The model for this is Hitachi 45601-C9. Contact us for remaining availability for Sentech STC-MB42E.